Australia’s First Peoples now constitute more than 130,000 of all Catholics in Australia and the numbers are increasing, according to the National Aboriginal and Torres Strait Islander Catholic Council (NATSICC), a peak advisory body to Australia’s bishops. NATSICC national administrator Craig Arthur said Census data showed that the growth of Aboriginal and Torres Strait Islander Catholics in the Church was approximately 7 per cent in the five years to 2016. “The group has had several growth spurts over the past 30 years. Interestingly, the overall percentage change from 1986 to 2016 has shown a 187.8 per cent increase in ATSI Catholics,” he said. NATSICC chairman John Lochowiak believes the increase can be attributed to a variety of factors. “We are seeing a continual cultural change in the Catholic Church in Australia,” he said. 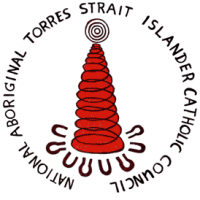 Aboriginal and Islander Catholic ministries are in place in most states and territories and work on a local level to inculturate the Church liturgically and pastorally while ensuring the basic welfare needs of Australia’s First Peoples are met. Mr Lochowiak also praised the work of Catholic schools throughout Australia. “Our young people are a major focus of the Council and to see that group grow in numbers and in pride in their faith is terrific,” he said. The richness and beauty that Aboriginal and Torres Strait Islander culture brings to the Catholic Church in Australia will be on display at the 2018 NATSICC National Assembly in Perth from October 1-5. A youth assembly will take place alongside the main assembly, with its focus on building the capacity of young people to be leaders and positive role models in their community. 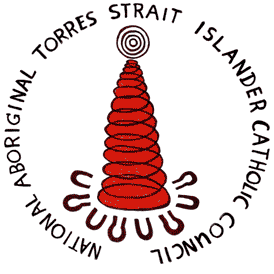 NATSICC assemblies occupy an important space on the calendars of Aboriginal and Torres Strait Islander Catholics. Keynote speakers this year include Senator Pat Dodson and Fr Frank Brennan SJ, as well as a host of workshops facilitated by those working directly with Aboriginal and Torres Strait Islander Catholics. Non-indigenous people working with Aboriginal and Torres Strait Islanders are welcome to attend. For more information, contact NATSICC national administrator Craig Arthur on 08 8363 2963.